Launching the Punjab Pradesh Congress Committee’s Jan Sampark Abhiyan at the Congress Bhawan here, Amarinder assured Priyanka of total support by the state party cadres. CHANDIGARH: Sounding the bugle for the 2019 Lok Sabha elections with the confidence that the Congress would win all the thirteen seats in Punjab, Chief Minister Capt Amarinder Singh on Friday hailed the entry of Priyanka Gandhi Vadra into the political arena as a masterstroke by the party president, saying it would change the political equations not only in Uttar Pradesh but the entire country. Launching the Punjab Pradesh Congress Committee’s Jan Sampark Abhiyan at the Congress Bhawan here, Amarinder assured Priyanka of total support by the state party cadres in realizing the dream of an inclusive India of Rahul Gandhi, who he asserted was all set to become the next Prime Minister. 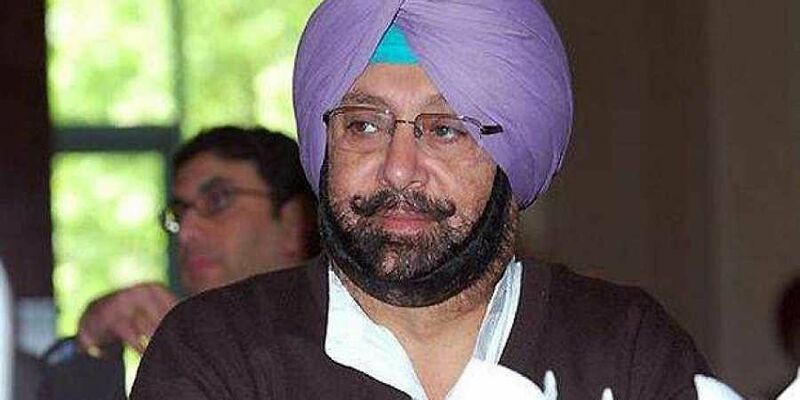 of India of the corrupt and divisive government led by the Bharatiya Janata Party (BJP), said Amarinder. Pointing out that the ill-conceived policies of the central government had vitiated the overall atmosphere in the country, which had been plunged into an environment of fear, lawlessness and tension, the Chief Minister said the new Shakti programme launched by the Congress president had brought in a new level of enthusiasm among the party workers to take on the BJP-led government and exposed its anti-people agenda. Terming forthcoming parliamentary elections as very important for the country, Amarinder called upon the Punjab Congress workers to take Shakti to every household to ensure that the party wins all the 13 seats in the state with sweeping margins. Formally launching `Mission 13’ for the party in the state, the Chief Minister exhorted the PPCC workers to go all out to expose the false propaganda being spread by the SAD-BJP combine and to take the state government’s achievements to the people. The SAD-BJP did nothing for farmers during their ten year rule and were now creating misconceptions in the minds of the people with their baseless claims and allegations, he said, urging the Congress workers to aggressively counter the mis-propaganda of the opposition. Mission 13 was critical for enabling a change in Delhi, which was urgently needed to save the country, said Amarinder, adding that the prevailing atmosphere necessitated a new democratic and fair regime at the Centre. Hailing Priyanka Gandhi's entry into politics as a Brahamastra, he said the move had already rattled the Modi Government.